In our experience, the vast majority of students do not present themselves to their best advantage on the Common Application. We coach students on how to “tell their story” in a way that most effectively highlights their accomplishments and interests, making their most compelling case for admission. 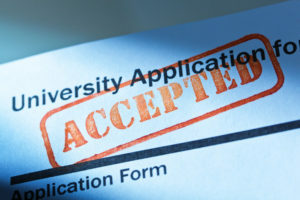 In August, we run a series of Boot Camps in which we provide students with the benefit of our extensive and invaluable admissions experience, helping them to find the best way to present themselves in the Common Application, thereby maximizing their chances for acceptance to the college of their choice. All of our Boot Camps are personally run by DG Admissions team members and attendance is limited to a maximum of 10 students. The student/ instructor ratio will never exceed 3:1.